Jesus acquired a following because the world was different 2,000 years ago. His message was designed for the social and political situation that existed in the Middle East at that time. It still applies today for those who listen. 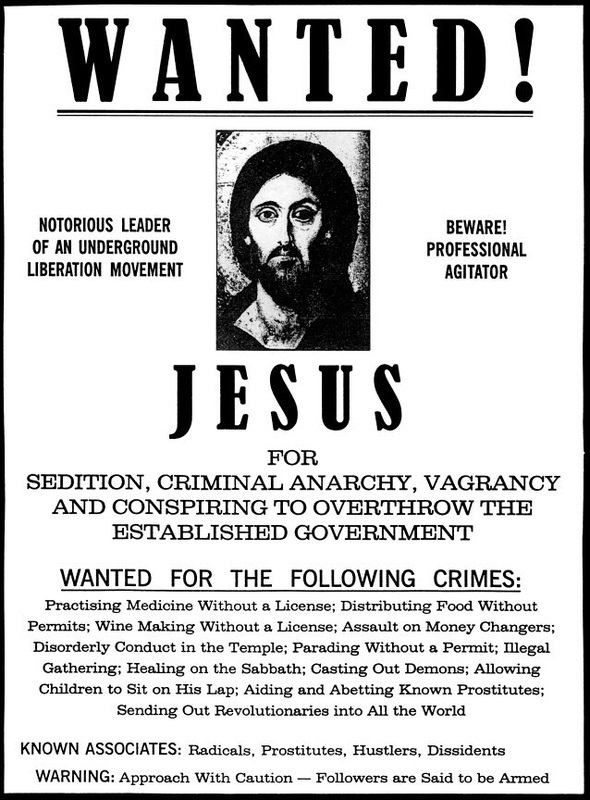 If Jesus and were to walk through any town in the United States today, ministering to and healing the people in open parks, he would be arrested for preaching without showing credentials of being an ordained minister and healing without a license to practice medicine. Just being homeless is a crime in many cities. Police are driving away the homeless and anybody looking like Jesus, wearing simple robes and wearing long hair and a beard, would be quickly targeted as an undesirable. That he might be hanging around the downtown shopping area and driving away business would be in violation of town ordinances. Of course Jesus would be searched by the police. And lo, they might find on him some form of an illegal narcotic! That is because Jesus used shamanic techniques to capture the minds of the people who gathered around him. That involved the use of psychedelic plants and oils from things like frankincense, galbanum, myrrh, cassia, and the bark of the acacia tree, which all produced powerful psychedelic effects. The people in Jesus’ day used acacia wood to make wine barrels. The wine they drank was laced with DMT, one of the most powerful hallucinogens known. It is interesting that the Old Testament quotes God as instructing the Hebrew people to use acacia wood to build the Ark of the Covenant as well as the tabernacle that was placed in the Temple. There is no doubt that if Jesus were to return today, and try to carry on the ministry the way he did it in the Holy Land in his day, he would be locked up in prison doing life behind bars on serious drug charges. His very appearance as a dark skinned and bearded man from the Middle East would make him an immediate terrorist suspect. His picture would be on the FBI’s watch list the moment he stepped off the plane . . . or cloud. However he made his return. In spite of what all the Christians are saying, I don’t think Jesus would be very welcome in the United States or Europe today. Most Middle Eastern people would be suspicious of him because he is a Jew.